We aspired to create a completely green community for everyone. Whether a young family or a couple starting a life together, you’ll experience breathtaking moments every day. Al Yasmeen has been designed with the same features and lifestyle elements as Al Jouri, Al Narjis and Al Lilac, ensuring maximum walkability, connectivity and peace of mind. 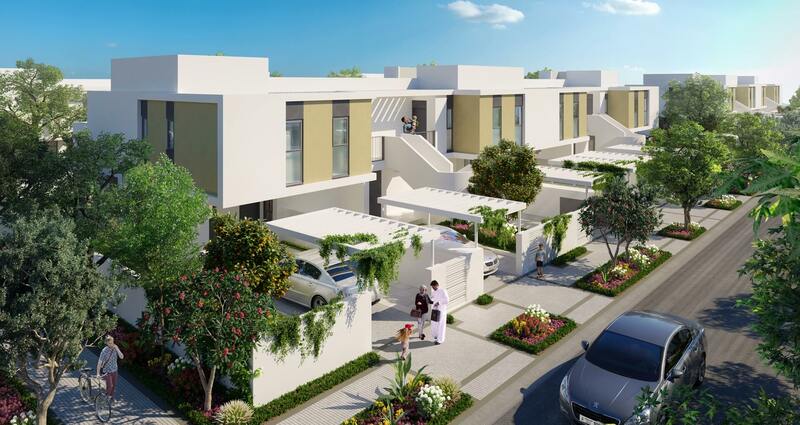 The 3 bedroom Townhouse Standard combines the open-plan living spaces which are directly connected to the backyard, with the partially enclosed kitchen, a maid’s room, a powder room on the ground floor and a two-car pergola carport. These newly introduced homes offer meticulously designed layouts perfect for small families or young professionals. As standard, these homes are available with the choice of either a private garden on the ground floor or a private terrace on the first floor. These newly introduced homes offer a private garden on the ground floor or a private terrace on the first floor. The modern designs reflect a unique sense of space, privacy and comfort and is perfect for small families and young professionals.